What Cameras to choose when travelling? Since we have been asked several times what cameras we use, I figure I write a short blog on the subject. When selecting a camera (and we have gone through a bunch of them) there are many things to take in to consideration: the size, the weight, the quality if lenses, the possibilities to exchange lenses, your type of photography, what are you going to use the pictures for ( enlargements, souvenirs, blog, research, video...). 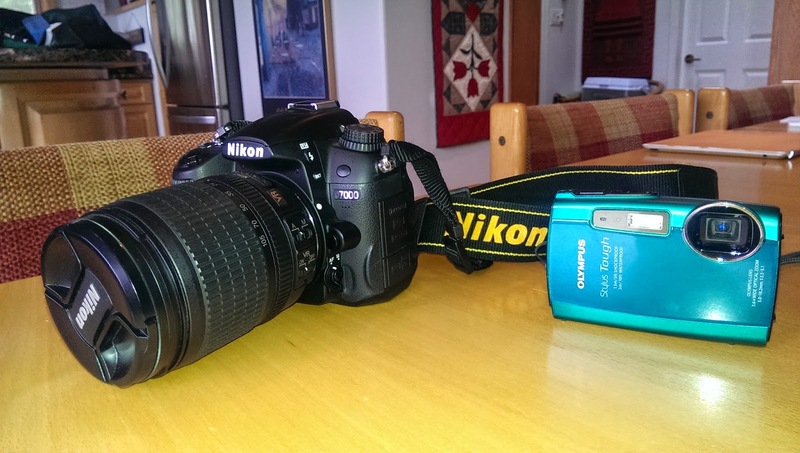 I prefer the camera to be as small as possible, but it should produce good quality images and have video possibilities. Liz prefers cameras where she can compose and manipulate the pictures before shooting. Liz used to be a professional photographer going back to the 1970's when they actually had film in the cameras, and each image was expensive. She was an exceptional photographer! Still is. She has that touch to see what looks right in a picture. Liz - Why don't you listen to me, I'm doing exactly that. All the joking aside, Liz knows what she wants in a camera and what she wants it to do, I wish I had her knowledge, but I guess that only comes with doing it for a living, even if it was a long time ago. A view finder and a screen or just a screen. A view finder is very handy at times. Zoom, how good is the zoom. Here the quality of the lens is very important. When we started looking for replacement cameras for both of us, we knew we wanted small cameras. We have found, if it is not small enough, we do not take them along. Liz had an old version of the Lumix camera, and I had a Sony Camcorder that still shoots pictures and fantastic movies, but is too large, and therefore often did not come along on hikes and travels. Liz really liked her old Lumix, except it was missing a viewfinder ( it is difficult to see the image on the screen in bright light). 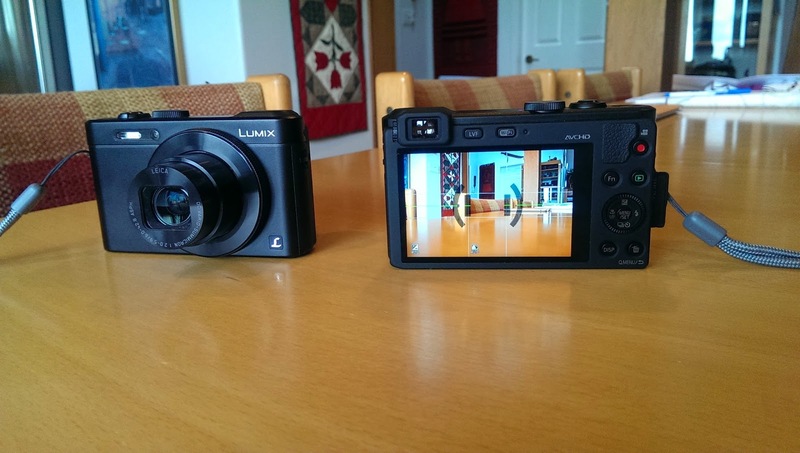 We did a lot of research and came up with the Lumix DMC-LF1 by Panasonic. We now have one each. We own them now for about two months, and we are very happy with them. The quality of the pictures and video are fantastic. The camera can shoot a video in HD. The camera is also Wi-Fi capable and can transfer the pictures right to your phone or lap top wireless, a very nice feature. We have the Lumix cameras set up so when we plug the cameras in to charge the battery, they automatically hook up via Wi-Fi to the lap top and transfer all the pictures. I also use the camera in my phone HTC One, it is a pretty good camera but is limited to what it can do. One Olympus Stylus Tough 3000 underwater camera ( that is mine, Liz hates to have her head under water ).